PA returns tax revenues to Israel due to the fact that Israel offset the money that the PA pays to terrorists and their families. Palestinian Authority (PA) cabinet leader Rami Hamdallah confirmed on Wednesday that the PA had returned the clearance revenues to Israel after it deducted 41 million shekels from them, the Wafa news agency reported. 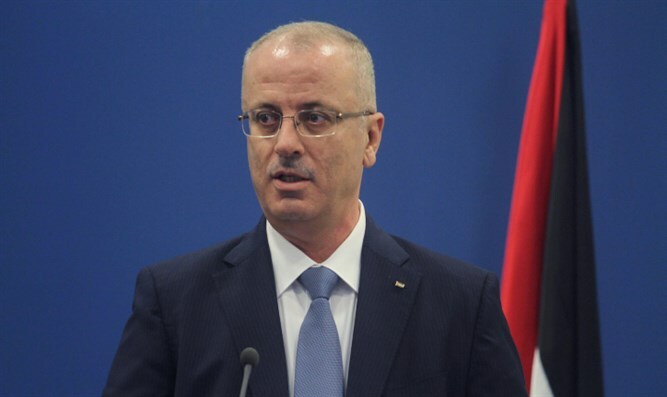 Hamdallah said that since the PA leadership decided in its meeting on February 20 not to accept the tax revenues Israel collects on behalf of the PA if they were short by one penny, it was decided to return this month’s clearance money that had been transferred by Israel. Israel's security cabinet recently approved the freezing of 507,697,000 shekels ($140,350,300) from the tax money it collects on behalf of the PA over the PA’s payments to terrorists who carried out attacks against Israelis and their families. Following the move, PA chairman Mahmoud Abbas reiterated he would not accept partial payment of tax transfers owed by Israel and also made clear he would not end financial support for the families of terrorists imprisoned or killed by Israel. Previously, Abbas spokesman Nabil Abu Rudeineh warned Israel of “repercussions” over its decision to offset the payments to terrorists. On Wednesday, Hamdallah said that paying allowances to the terrorists’ families is “a national duty”. PA officials have remained defiant and have made clear that the PA will never cease paying terrorists' salaries, despite calls by Israel and the US to stop doing so.